The free trade market among ASEAN member countries will begin in 2015 in which there will not be the boundaries between countries. This free trade market is also known as Economic Community 2015, which will lead to the stiff competition in the transactions of goods and services, investment, foreign investment and human resources competencies. ASEAN member countries are demanded to get ready for facing such a stiff competition in efforts of creating more dynamic and competitive ASEAN. As one of the ASEAN member countries, Indonesia with its huge population must continuously increase the quality of human resources. The free market competition will become a challenge that Indonesian young generation is to be facing. To prepare the young generation to face such a global challenge, BINUS INTERNATIONAL students held RYLC- Regional Youth Leader Conference 2013 on Wednesday, November 6, 2013 on BINUS Senayan Campus – The Joseph Wibowo Center. The theme featured at this year’s event was “Seize Opportunity in ASEAN Economic Community 2015” with sub-themesBusiness in ASEAN, Creative Industry, Intercultural Communication and Economic Sustainability. The one-day conference was comprised of several sessions with speakers from multinational companies having their presence in Indonesia. 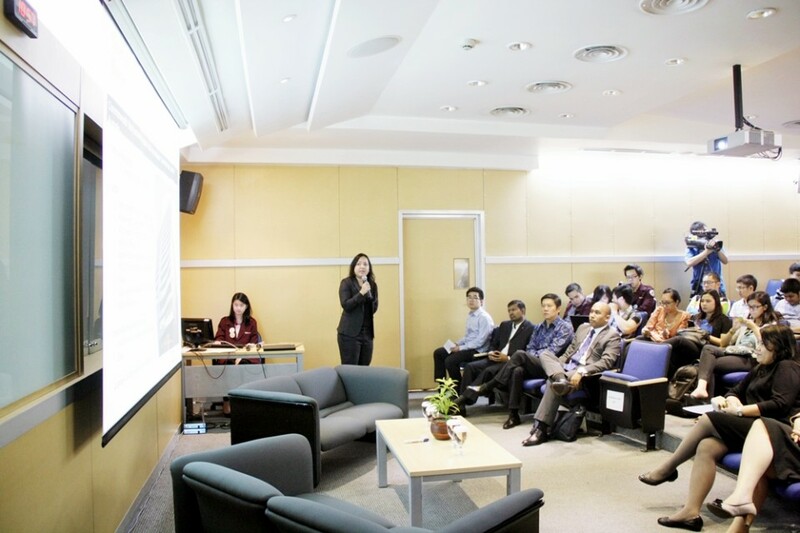 Each of the speakers delivered their presentations in correspondence with the respective sub-themes. 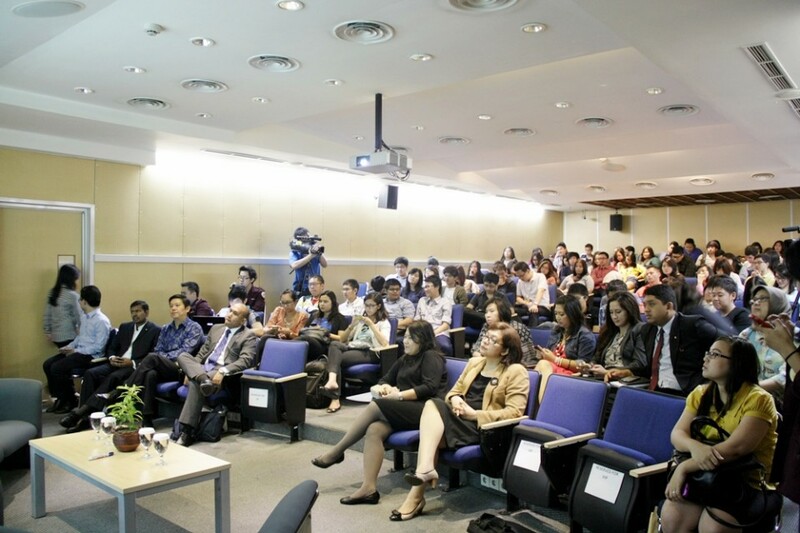 In this opportunity, all the speakers shared their views and researches on the ASEAN free trade market 2015, and how the education curriculum should play its role in equipping the knowledge and shaping the characters that can lead to giving birth of creative, quality and innovative youngsters to face the free trade market competition. 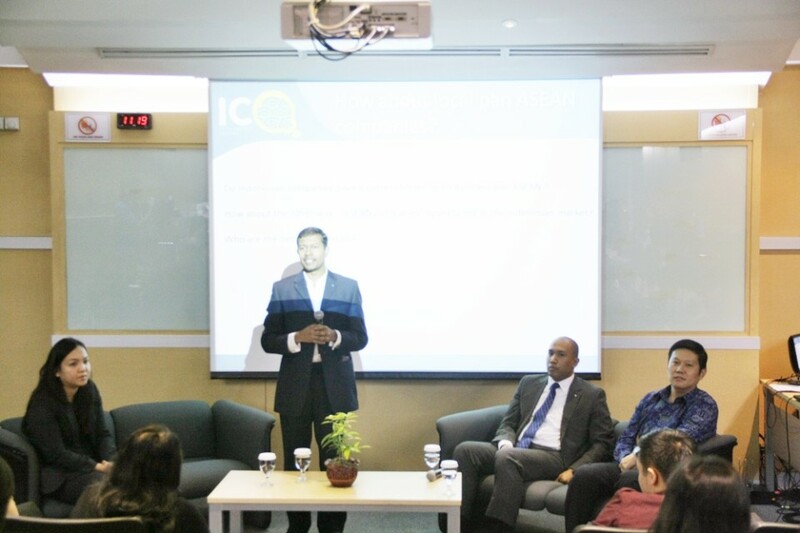 In addition to the participation of BINUS INTERNATIONAL students, this conference was also opened to public. 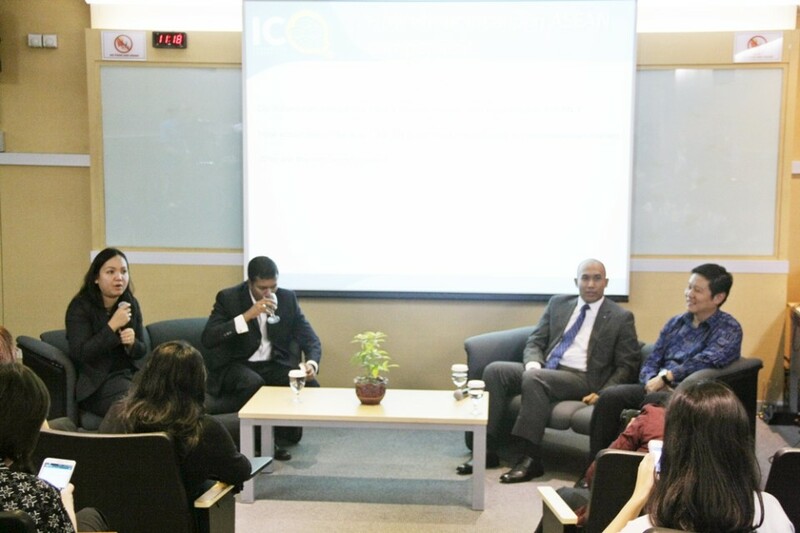 The event was moderated by GajendranKandasamy, manager of BINUS INTERNATIONAL Innovation Center; and started with a panel discussion on Business in ASEAN presenting such panelists as JusufSjariffudin, president & CEO of PT Jati Piranti Solusindo (JATIS); Yorinda YAP, Commonwealth Bank area wealth management specialist;and Ariefin Makaminan, PT BMW Indonesia training manager. Meanwhile Paulus B. Suranto, general manager of Triumph Motorcycles Limited, the UK, presented the sub-theme Intercultural Communication; Joseph Tan, CEO of Lowe Indonesia with the sub-theme Creative Industry; and Muhammad ArionoMargiono, BINUS BUSINESS SCHOOL faculty member, and LedySimarmata, PT Freeport Indonesia superintendent corporate communication presented the sub-theme Economic Sustainability. “This is the fifth Regional Youth Leader Conference held by BINUS INTERNATIONAL since 2009. We hope after listening to what all the speakers has presented, the young generation can prepare for themselves better in facing the ASEAN free trade market 2015,” said Billy Samuel, a student majoring in international business. He was trusted to take role as the project leader for the event of Regional Youth Leader Conference 2013.